Check out a selection of video clips featuring your favourite Nickelodeon shows and stars from Nickelodeon channels around the world! Bud talks about the time he literally swept Tippi off her feet. Would you rather have countless snow days or live in a beach town?﻿ Let NickSplat know in the comments on YouTube! More Nick: Nickelodeon & Paramount To Release 'Hey Arnold! The Jungle Movie' On DVD On Tuesday 13th February 2018 | Update: Available To Pre-Order Now!! Watch all your '90s Nickelodeon favorites on NickSplat, your late-night destination for your favorite childhood Nickelodeon cartoons and live-action shows! NickSplat doesn't question football-shaped heads, but embrace them - along with Reptar bars, a Big Ear of Corn, orange soda, and even slime for Pete (and Pete's) sake. Make your slime-covered Nickelodeon childhood dreams come true every night at 11 PM ET/PT, only on TeenNick USA! #NickSplat! More NickSplat: Nickelodeon Kids’ Choice Awards UK 2007 | 10th Anniversary | #TBT | NickSplat UK! Follow NickALive! on Twitter, Tumblr, Google+, via RSS, on Instagram, and/or Facebook for the latest Holidays on Nickelodeon and NickSplat News and Highlights! SpongeBob has a powerful talent for bubble making. But, when word gets out, he's suddenly getting demands from all of Bikini Bottom. Make sure to visit nick.co.uk/christmas for stockings full of festive videos, games, photos and more! More Nick: Nickelodeon UK To Premiere 'I Am Frankie' On Monday 8th January 2018! Follow NickALive! on Twitter, Tumblr, Google+, via RSS, on Instagram, and/or Facebook for the latest Christmas on Nickelodeon UK, Nicktoons UK and SpongeBob SquarePants News and Highlights! Shimmer, Shine and Leah perform in the talent show with Tala, Nahal, and Parisa! Featuring the UK dub of Shimmer and Shine. Visit Nick Jr.'s Christmas hub at nickjr.co.uk/christmas for lots of festive fun, videos, games and activities! More Nick: Vivid To Launch Extensive Line Of Nella the Princess Knight Merchandise In The UK In January 2018! Follow NickALive! on Twitter, Tumblr, Google+, via RSS, on Instagram, and/or Facebook for the latest Christmas on Nick Jr. UK, Nickelodeon UK and Shimmer and Shine News and Highlights! Todos os personagens juntos, num grande remix de Natal! Watch all your favourite shows on Nickelodeon, Nicktoons and Nick Jr.! Mais Nick: Viacom Americas Working On Two New Nickelodeon Shows: 'Club 57' And 'Noobees'! Follow NickALive! on Twitter, Tumblr, Google+, via RSS, on Instagram, and/or Facebook for the latest Christmas on Nickelodeon Brazil News and Highlights! Los Dino Charge se sorprenden con las habilidades del nuevo Ranger Púrpura. Os Dino Charge se surpreendem com as habilidades do novo Ranger Roxo. Missed any episodes of Power Rangers Ninja Steel? Catch up now at nick.com/ninjasteel and on the Nick App! More Nick: Saban’s Power Rangers Unveils 25th Anniversary Campaign! Follow NickALive! on Twitter, Tumblr, Google+, via RSS, on Instagram, and/or Facebook for the latest Holidays on Nickelodeon and Power Rangers News and Highlights! Το Nickelodeon και το Ωδείο Λιούτα σας εύχονται χαρούμενα Χριστούγεννα! Περισσότερα Nick: Nickelodeon Greece To Premiere 'I Am Frankie' On Saturday 13th January 2018! Follow NickALive! on Twitter, Tumblr, Google+, via RSS, on Instagram, and/or Facebook for the latest Christmas on Nickelodeon Greece News and Highlights! Nature's greatest predator has surfaced... It's Spot The Shark Week on Paradise Run! Jump into a brand-new episode everyday this January, and see what Finn the Shark is doing. Then, let Nick know by heading to nick.com/paradise. You can play-along all week long! Don't miss Spot The Shark, guest starring Makani Finn, part of a whole new month of Paradise Run, starts Monday 1st January 2018 at 7:00pm ET/PT, only on Nickelodeon USA! More Nick: Big Time Reunion: BTR Stars James Maslow & Carlos PenaVega To Guest Star On 'Paradise Run'! Follow NickALive! on Twitter, Tumblr, Google+, via RSS, on Instagram, and/or Facebook for the latest Nickelodeon and Paradise Run News and Highlights! Lizzy Greene, Casey Simpson, Mace Coronel & Aidan Gallagher are back this JanNEWary for all new episodes of Nicky, Ricky, Dicky & Dawn! Minor spoilers, but there will be raw sewage, chicken wings, ghost farts, and a quest to find out who sunk Rothschild Prep. Just another reason that 2018 will be the best year yet! Catch brand-new NRDD, Saturdays at 8:30pm ET/PT from Saturday 6th January 2018, only on Nickelodeon USA! It's gonna be QUAD-TASTIC! More Nick: 2018 on Nickelodeon USA | New Shows, Specials, Events, Movies, Episodes, and More! This summer, Nickelodeon Together for Good has teamed up with Kids Helpline to help kids get real with their feels. It's really important to share how you feel with others. To help spread the message, Nickelodeon Australia and Kids Helpline, Australia’s only free, private and confidential 24/7 phone and online counselling service for young people, are inviting Aussie kids to visit the official Get Real With Your Feels website on nick.com.au and take a special quiz about how they're feeling, answering using a SpongeBob mood board. Through the quiz, kids can learn about how they're feeling - whether they're happy, okay, lonely, sad, angry or worried - and find out more about Kids Helpline and its services, including the ways they can contact the organisation. In 2013, Kids Helpline revealed that lonely and unhappy kids were flooding the counselling service with 460,000 phone calls a year, with its 130 psychologists and counsellors dealing with 25 cases of attempted or threatened suicide from children each day. Some kids called just to have a chat - because no other adults would listen. "The most frequently raised issue is mental health concerns, and not far behind that is family relationships," said Kids Helpline general manager Wendy Protheroe. "They want to know how to get on with their family and how to deal with conflict. "They're really reaching out to have someone to talk to". Ms Protheroe said a 6-year-old boy with divorced parents recently phoned to talk about his problems living between two households. "He said, 'Thankyou for listening to me'," she said. "He wants his mum and dad to listen to him and talk about what it's like for him." Ms Protheroe said some children called for help in coping with parents suffering a mental illness. But three young Aboriginal teenagers had called from Western Australia after they caught their first fish. "They just wanted to tell someone how excited they were," she said. Get Real With Your Feels is Nickelodeon Australia's latest collaboration with Kids Helpline. A Nickelodeon survey found that one in three Australian kids avoided activities they enjoy because they are worried other children will tease them. And one in five kids deliberately sit on the sidelines at sport to avoid being laughed. In 2012, Nickelodeon launched "Dare To Be Square", a pro-social initiative front by the ever-optimistic superstar SpongeBob SquarePants to promote positivity and inclusiveness. 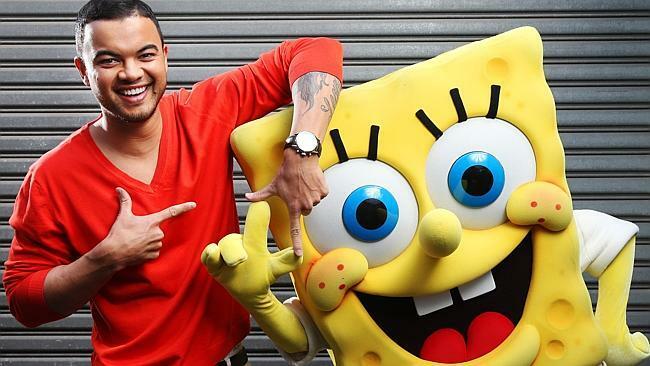 For the 2013 edition of "Dare To Be Square", Nickelodeon teamed up with Australian pop, R&B, and soul singer-songwriter Guy Sebastian to release "Dare to be Square", a song Guy performed at SLIMEFEST 2013 that encourages kids to "be themselves", as a charity single to help raise money for Kids Helpline, Australia's only free, 24/7, confidential counselling service for kids. Ms. Protheroe has called on Australians to pay more attention to children. "It takes more than just a mum and dad to raise a child," she said. "When you walk past a child, how often do you smile and say 'Hello'? "There are a lot of kids out there who feel quite lost." If you need support or just want to chat to someone, Kids Helpline are here for you 24 hours a day, 7 days a week. No problem is too big or too small. Kids Helpline can be contacted free by calling them on 1800 55 1800, via email counsellor@kidshelpline.com.au, or by using the web chat option online at kidshelpline.com.au. Launched in 1991, Kids Helpline (KHL) is yourtown’s counselling service for young people aged 5 to 25. It’s free, confidential, available 24/7, and accessible by phone (1800 55 1800) and online . KHL gives children and young people choices, support and someone to listen - anytime, anywhere. Kids Helpline is Australia’s only free, private and confidential 24/7 phone and online counselling service for young people aged 5 to 25. Counsellors respond to more than 6,000 calls each week about issues ranging from relationship breakdowns and cyberbullying, to sexual abuse, homelessness, suicidal thoughts, and drug and alcohol use. For 26 years Australia’s kids and young people have been turning to the organisation's professional, specialised counsellors, no matter who they are, where they live or what they want to talk about. Over this time, they have responded to over 7.5 million contacts. For some young people, connecting with Kids Helpline has been a life-saving experience, while for others it’s about practical help and emotional support at the critical moment they need someone to listen. Kids Helpline can be contacted free by calling them on 1800 55 1800, via email counsellor@kidshelpline.com.au, or by using the web chat option online at kidshelpline.com.au. To find out more about Kids Helpline, please visit kidshelpline.com.au. Nickelodeon, now in its 38th year globally and 23rd year in Australia, is a globally recognised and widely distributed multimedia entertainment brand for kids and family. It has built a diverse, global business by putting kids first in everything it does. The company includes both locally produced and global television programming plus consumer products, digital applications, theme parks, recreation, books and feature films. Nickelodeon Australia has been named Channel of The Year twice by ASTRA and won numerous industry awards. Nickelodeon and Nick Jr. channels air 24 hours a day, seven days a week and are seen in over 2.3 million households via Foxtel (Channel 701) and Fetch TV (Channel 146). Outside of the United States, Nickelodeon is a part of Viacom International Media Networks, a division of Viacom Inc. (NASDAQ: VIA, VIAB), one of the world’s leading creators of programming and content across all media platforms. www.nick.com.au. Additional sources: news.com.au, LinkedIn, Wikipedia (I, II), Optus. Follow NickALive! on Twitter, Tumblr, Google+, via RSS, on Instagram, and/or Facebook for the latest Nickelodeon Australia & New Zealand News and Highlights! Jack Griffo, Kira Kosarin & the rest of the cast are bringing the thunder on brand new episodes of The Thundermans this JanNEWary! Check out a super sneak peek to see what’s happening to Max, Phoebe, Nora, Billy, Chloe, Hank and Barb Thunderman! Catch brand-new The Thundermans, Saturdays at 8:00pm ET/PT from Saturday 6th January 2018, only on Nickelodeon USA! Next Saturday, on a brand new "The Thundermans", Phoebe and Max act as superhero mentors to one of their siblings, but quickly regret selecting Nora after seeing Billy's surprisingly impressive skill set. Sam reminisces about the awesomeness of snow days. Babe and Kenzie are about to strike a deal with a clam restaurant, but first they must tackle a billboard-sized problem! Watch more NRDD on Nickelodeon! Follow NickALive! on Twitter, Tumblr, Google+, via RSS, on Instagram, and/or Facebook for the latest Christmas on Nickelodeon UK and Game Shakers News and Highlights! Rusty and the gang find the courage to search for a mysterious mythical creature! Featuring the UK dub of Rusty Rivets. Follow NickALive! on Twitter, Tumblr, Google+, via RSS, on Instagram, and/or Facebook for the latest Christmas on Nick Jr. UK, Nickelodeon UK and Rusty Rivets News and Highlights! Na véspera de Natal, os personagens da Nick são puro amor e alegria! Check out some of the best moments from the original Mighty Morphin Power Rangers in this video clip, available to watch in English, Spanish, Portuguese and German! Ver los momentos emocionantes de los Mighty Morphin originales. Schaut einige der besten Momente der originalen Mighty Morphin Power Rangers! Актёр дубляжа Алексей Костричкин рассказал о работе над озвучкой своего персонажа Олли из шоу Добро пожаловать в Вэйн. Watch Welcome to the Wayne on Nickelodeon and Nicktoons! More Nick: Nickelodeon Russia To Premiere 'Tiny Christmas' On Sunday 31st December 2017! Follow NickALive! on Twitter, Tumblr, Google+, via RSS, on Instagram, and/or Facebook for the latest Christmas on Nickelodeon Russia and Lip Sync Battle Shorties News and Highlights! Follow NickALive! on Twitter, Tumblr, Google+, via RSS, on Instagram, and/or Facebook for the latest Christmas on Nickelodeon UK News and Highlights! Watch SpongeBob SquarePants on Nickelodeon! Follow NickALive! on Twitter, Tumblr, Google+, via RSS, on Instagram, and/or Facebook for the latest Nickelodeon and SpongeBob SquarePants News and Highlights! Rob Paulsen is a living legend in animation, and he recently spoke to FanSided about how he moved into voice directing Nickelodeon's new Teenage Mutant Ninja Turtles series! Rob Paulsen is an icon in the voice acting world. He’s lent his pipes to some of TV’s most beloved characters, including Yakko on Animaniacs, Pinky from Pinky and the Brain, and not one but two of the Teenage Mutant Ninja Turtles. But while he continues to add shows to his resume, Paulsen is expanding his career in another direction. He’s the voice director for Nickelodeon’s upcoming series Rise of the Teenage Mutant Ninja Turtles. 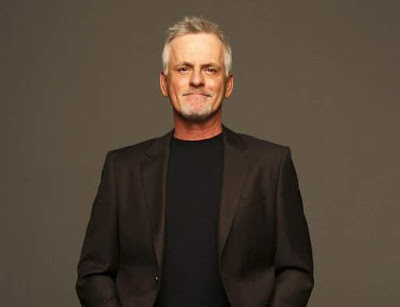 FanSided spoke to Rob Paulsen about his first ever voice directing project, the success of the Animaniacs Live concert tour, and the impact that being part of so many well-known shows has had on him. 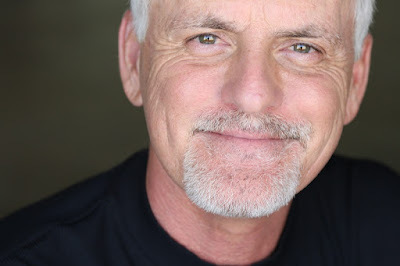 Get to know Rob Paulsen below, then make sure you visit his official website and follow him on Twitter and Instagram. FanSided: How did you decide to move into voice directing with Rise of the Teenage Mutant Ninja Turtles? Was it just the natural progression of your career after all of your voice acting success? Rob Paulsen (RP): No, it was utterly the largesse of the people at Nickelodeon. I’ve never been interested in directing. That was not my jones. I’m an actor and a singer and that’s what I love to do. I’ve been doing it a long, long time, gratefully. But in January of this year, the folks at Nickelodeon came to me and said this is the last year of the current iteration of the show — we were hoping for a five-year run and we got that. They said there’s a new one coming, another 2D version similar to the one you did 25, 30 years ago, and have you ever thought of directing? And I said well no, but I think it would be a cool thing to try. It turns out the reason they asked was my friend Tom Kenny, who’s the voice of SpongeBob, has been directing their show for a couple years and it’s turned out quite well for obvious reasons. Tom knows the crew, he knows the vibe and all that. I said let’s give it a shot. Let’s give ourselves a probation period for both sides of the equation because if I wasn’t their cup of tea, I didn’t want them to feel beholden to me. That certainly hasn’t been my area of expertise and these guys who are now creating this new version of the show have a very high bar, because the one they just finished up has been really successful. I was like, let me make sure you’re comfortable after the first half dozen, and frankly myself as well. If it’s something that I just don’t like, then I don’t want to waste your time or mine, and it’s not worth anyone spending money to keep it going. It turned out to be just the opposite. I loved it. Apparently they’re happy, so we’re 10 to 12 episodes into the new version that will begin in September of next year, and it’s an absolute blast. I had no idea how much I’d like it. It’s really cool, and I find that I have a natural affinity for speaking sort of actor-speak, which is probably another reason they suggested it. The kids, and I mean that both figuratively and literally, who are working on the show grew up on things my friends and I have worked on. So they’re willing to listen to what I say, because I think I developed a certain amount of credibility being around long enough. I’m able to translate producers’ wishes [into] words and phrases that make sense. FanSided: You voiced Raphael in the 1987 series, and then Donatello in the 2012 version. So is it strange not playing one of the Turtles now? RP: It is strange and I do find myself at least once or twice a session having to catch myself from saying, try it this way. Not because what they’re trying is wrong; [because] I have my own instincts and they’ve served me well for a long time. But that’s me. That’s not the actors on the other side of the glass. They have their instincts, their training, their tastes and I want to honor that. It’s kind of like being an old baseball player who ends up being a hitting coach, and says look kid, I know you can hit this over the fence, but trust me if you do this, step into this pitch this way, I hit 500 of these, I know what I’m talking about. It’s more that. I have to pull myself back and say that was great, do you mind if we try one like? 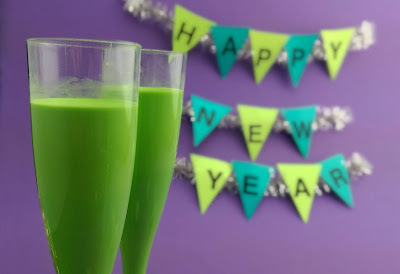 We already got that, that’s perfect, how about let’s try something a little different? And sometimes they’ll say wow, that was great and the producers will go, let’s do it that way. It’s a really interesting circumstance because I find that I can still be helpful and creative in a different way. I’m not used to being on that side, in that chair, but it’s gratifying in a totally different way. It really is fun working with people half my age who are so excited to be part of this franchise. There are very few franchises in the history of the culture that have been as successful as Ninja Turtles, and once you’re part of it, it’s an incredible badge of honor to have been part of this franchise. I’m just thrilled. FanSided: But there’s got to be room for a Rob Paulsen guest appearance somewhere in this new series, right? RP: Yeah, in fact myself and Maurice LaMarche, they brought us in to do a couple bad guys. I called Maurice and he was very sweet, he’s one of my dearest friends in the whole world. He goes congratulations man, you’re going to be directing! I have all these friends coming to work on the show and they are very gracious, very congratulatory, very supportive and utterly willing to listen to what I say because they know that’s my job now. It’s really great, honest to God. The director traditionally in Hollywood is the guy that runs the show and has the responsibility, that’s not the case in my circumstance. I’m literally just the guy who tries to help the voice actors stay on point, in their characters, in the context of the story and using my expertise to do all that. FanSided: You’ve had great success recently expanding your Animaniacs Live shows into a full-blown concert tour. How has that experience been, bringing that to a wider audience? RP: It’s so much fun. Honestly, it’s virtually impossible to quantify how good it makes [composer] Randy [Rogel] and me feel. I’m in a really good spot career-wise — I’m old enough to have a body of work that folks who are seven years old to 70 are aware of. Specifically with Animaniacs, the music is pretty timeless, and we’ve seen unqualified success of the show on Netflix with not one new episode being produced in 20-plus years, which tells me that Mr. Spielberg and his crew knew exactly what they were doing. The show is specifically written to be enjoyed by different generations. It’s clear it’s worked. And the other side of the equation is that while I’m old enough to have this credibility, I’m young enough to have the energy to travel around to do these shows. We’ve got 10 to 12 dates booked next year. FanSided: Are there any other roles that you’d like the chance to revisit someday? Anything Rob Paulsen misses working on, or would want to do again? RP: There was a show I did for ABC before Disney bought them years ago. It was called Bump in the Night, and it was with Jim Cummings, who was the voice of Winnie the Pooh, Tigger, the Tasmanian Devil and Darkwing Duck. He and I did these two characters called Mr. Squishington and Mr. Bumpy. Great music — Jim is a marvelous singer — and it was a stop-motion show, really cool, like a Tim Burton thing. That’s one show that I’d love to get another crack at. Then there was a show I did with Tim Curry, Richard Moll and the late Tony Jay called Mighty Max. That was a show about a kid who has this magic hat that allows him to get portals through time, and he’s chased by this evil god played by Tim Curry. They don’t get any better than Tim Curry, and that was a really cool show. Another show I’d love to do, I was on the original animated show The Tick. I played a character named Arthur who was The Tick’s sidekick, as it were. There have been several on-camera iterations, one of which is now on Amazon and it’s doing really well. But those are three animated shows that I felt were just great. FanSided: You just mentioned it — your entire body of work is essentially timeless, which is practically unheard of in TV. What does it mean to Rob Paulsen, knowing your work is relevant all of the time? RP: I think what everyone wants is to find something they would do for free and find people nice enough to pay them for it and to be able to do it for as long as they want to. I’m in that position. I’m a life lottery winner. I am working every day — working on new shows, creating my own, I’ve got a new show coming out on the Nerdist network, I’m writing a book. Every day is a new experience for me, and isn’t that what we’re all looking for? I’m so grateful because I’m in a position where I’m 61 years old and a lot of people are at this age and saying in a couple years, I’ll play golf every day. Well, I’m a golf fanatic, but I’d put golf on the back burner any day. This is something I chose to do, I’ve been able to make a nice living at it, and people are still interested in what I have to say. FanSided: Anything in particular you’d want to say to all those Rob Paulsen fans? RP: Just remember laughter is the best medicine. And the cool thing is, you can’t OD and the refills are free. For more with Rob Paulsen, be sure to follow him on Twitter and Instagram. You can also check out his website and his Talkin’ Toons podcast! 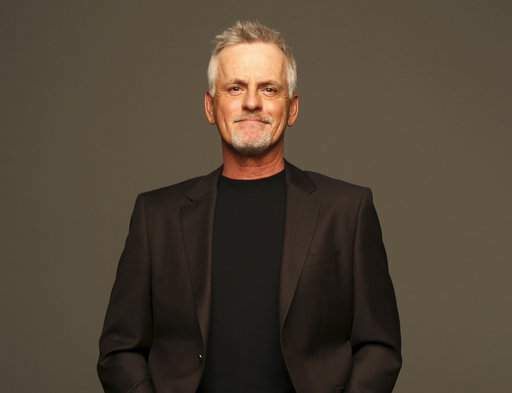 LOS ANGELES (AP) — A conversation with veteran voice actor Rob Paulsen includes happy interruptions by Pinky, Ninja Turtles and even a touch of David Tennant. Paulsen's creativity and fluid ability to shift pitch, cadence and accents have earned him steady work since he decided to put animated roles ahead of on-screen performance. "What one finds pretty quickly is there are a million average-looking white kids with SAG (Screen Actors Guild) cards," Paulsen said, recalling his early years as a Hollywood industry job-seeker. In the decades since, he's enlivened more than 2,500 episodes of animated TV series, including "Animaniacs" (voicing Pinky, Yakko Warner and Dr. Otto Scratchansniff), spinoff "Pinky and the Brain" and "Teenage Mutant Ninja Turtles" (Raphael in the 1980s, Donatello in Nickelodeon's recent series). When he acted with "Doctor Who" star Tennant on "Ninja Turtles" last year, the Scottish actor revealed himself as a long-time fan. "Oh my God, if I had a nickel for every time I said, 'Cowabunga!'" Tennant said, invoking Raphael's catchphrase. Paulsen has won an Emmy and multiple Annie Awards, which recognize achievement in animation. He faced and overcame his biggest hurdle in 2016: A diagnosis of throat cancer that required radiation and chemotherapy and left the lanky actor 50 pounds lighter. Doctors spared his vocal cords and he's back in full voice — squeals, shouts and singing included — and, in a shift, is voice director of another TV incarnation of "Ninja Turtles" coming in 2018. The Detroit native spoke with The Associated Press about his career, its rewards and sound advice he received from admired fellow voice and screen actor Alan Oppenheimer. Associated Press: Was it difficult to focus on voice over on-screen roles when you were getting both? "I was doing a lot of on-camera work and Alan Oppenheimer said, 'Young man, you're going to have to make a decision about what you want to do. If I were you, I would really look at this voice acting thing.'... I'm so grateful I chose to jump with both feet into the voice talent pool. Here I am at 60, I just finished five solid years of the latest iteration of 'Ninja Turtles' on Nickelodeon ... and not one person gave a damn about how old I am. AP: Do you ever resent yielding turf to actors who get TV and film voice acting jobs, such as Alec Baldwin in 'The Boss Baby'? Paulsen: If you're a producer and you feel that having Brad Pitt be the talking chicken in your next movie (is right), hey man, it's your dime. I totally get it. There are other rank-and-file actors who get pissed off. ... I don't get bent out of shape over celebrity talent doing it. AP: What skills does voice acting require? AP: How did you face the cancer crisis that so directly threatened your work? Paulsen: I never once had a moment where I said, 'Oh, no, I'm a voice actor. Why me?' It's not because I'm super brave. It's because I've had the incredible good fortune, as a result of my career, to speak to hundreds of children and their parents as the character that a little boy or girl is a fan of while they're going through treatment for illness. ... Parents have kept in touch with me, sometimes 20 years after the fact, and all they do is tell me what remarkable memories they have because Leonardo or another character spoke to their child. I'm so grateful to have the opportunity. Follow NickALive! on Twitter, Tumblr, Google+, via RSS, on Instagram, and/or Facebook for the latest Nickelodeon and Rise of the Teenage Mutant Ninja Turtles News and Highlights! The hottest celebration of 2018 is about to drop with the TeenNick Top 10 New Year's 2018 Special! Join Nick Cannon as the TeenNick Top 10 takes a look back at freshest trends of 2017, predict what will be trending in 2018, and review a playlist of 2017's hottest songs! Plus, catch over-the-top performances from Ayo & Teo and Fall Out Boy! Don't miss the TeenNick Top 10 New Year's 2018 Special, premiering Monday 1st January 2018 at 8:00pm ET/PT, only on TeenNick USA! Following the debut of TeenNick Top 10 New Year's 2018 Special, TeenNick will encore the special on: Tuesday 2nd January 2018 at 8:00am; Friday 5th January 2018 at 6:00pm; and Saturday 6th January 2018 at 8:00am. Additional sources: Zap2it TV Listings, ToonZone Forums /@Toons Fan. Follow NickALive! on Twitter, Tumblr, Google+, via RSS, on Instagram, and/or Facebook for the latest Nickelodeon and TeenNick Top 10 News and Highlights! Jace Norman is hanging up his Kid Danger mask…at least until next year. 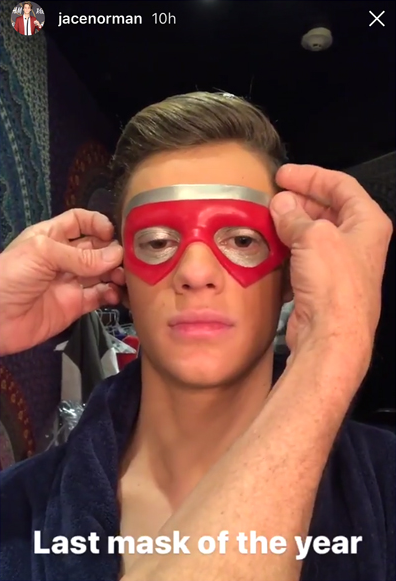 Over the weekend, the Nickelodeon star shared a pic of him getting masked up for the show one last time before the cast and crew’s winter break. While there hasn't been any word about another season of Henry Danger, the show's spin-off animated series, The Adventures of Kid Danger will be premiering on Friday, January 19th @ 6:30PM ET/PT on Nickelodeon USA! If you missed it, you can check out a super sneak peek on NickALive! now! That's a wrap on #Season4 ! These are some of the wonderful people I get to spend my day with- people who are so important to making #henrydanger on the level that's it's at. Stunt coordinators, script supervisors, stand-ins, set teachers, assistant directors, special effects technicians, production assistants, utilities, camera operators, grips, gaffers, editors, this list goes on and on. Without any of these people, we'd be in trouble. And this is just a small portion of the huge crew we have. They're not only great at what they do, they're amazingly kind people, and I'll miss them all. Originally posted: Tuesday, December 19, 2017. Original source: Just Jared Jr.; Additional source: ToonZone Forums /@kanc. Смотри на Nickelodeon в январе! from Nickelodeon_RU on Vimeo. This January (январе), Nickelodeon Russia (Россия) will start to premiere and show Regal Academy (Королевская Академия) season two, plus will be premiering more brand-new episodes of Bunsen Is a Beast (Чудище Бансен); School of Rock (Школа Рока) season three; The Loud House (Мой шумный дом) season two; and Welcome to the Wayne (Добро пожаловать в Вэйн)! В праздничные дни на Nickelodeon Россия – лучшие новогодние фильмы, сериалы и шоу для семейного просмотра, а также розыгрыш призов для самых внимательных. Включайте телеканал и погружайтесь в атмосферу праздника вместе с героями Nickelodeon. 31 декабря, в преддверии Нового года, на Nickelodeon Россия состоится премьера фильма «Крошечное Рождество». В первые дни января телеканал будет показывать любимые зрителями новогодние хиты, среди которых музыкальная комедия «Альберт», фильмы «Руфус» и «Руфус 2», шоу «Новогодняя вечеринка» и приключенческий мини-сериал «На диком Западе». «Крошечное Рождество» — история об эльфе-неумехе, который случайно уменьшает двух девочек до микроскопического размера. Вот незадача — случается это в канун Рождества: крошечные герои сначала попадают в мешок Санты, а потом оказываются в доме соседа напротив. Чтобы успеть домой к празднику, героям предстоит преодолеть множество препятствий. В главных ролях – звезды Nickelodeon Риэль Даунс («Опасный Генри») и Лиззи Грин («Никки, Рикки, Дикки и Дон»). C 1 января в вечернем эфире Nickelodeon Россия – праздничный телемарафон для всей семьи. Добрая комедия «Альберт» рассказывает о маленькой, но очень смелой ёлке, которая хочет стать самой известной во всем мире и для этого отправляется в центр Нью-Йорка перед самым Рождеством. В основе сюжета фильмов «Руфус» и «Руфус 2» — история мальчика Мэнни, который надел на своего пса Руфуса волшебный амулет и — о чудо! — пес превратился в тинейджера, начал ходить в школу и даже ухитрился стать самым популярным мальчиком в классе. «Новогодняя вечеринка» — праздничное музыкальное шоу, в котором участвуют главные герои сериалов Nickelodeon, таких как «Грозная семейка», «Никки, Рикки, Дикки и Дон» и «Школа рока». Наконец, в мини-сериале «На Диком Западе» в результате невероятных катаклизмов двое подростков переносятся во времени и пространстве прямо на Дикий Запад. Теперь им придётся стать настоящими ковбоями, чтобы суметь вернуться домой. Самые внимательные зрители Nickelodeon Россия смогут выиграть призы. С 21 декабря по 13 января ежедневно в эфире в разное время появляются изображения предметов. Точно такие же картинки спрятаны на сайте nickelodeon.ru, причем они могут скрываться в любом из разделов. Те, кто найдут нужное изображение на сайте, кликнут по нему и заполнят анкету, смогут принять участие в розыгрыше призов. Каждый 25-ый участник получит сюрприз от Nickelodeon, а тот, кто найдет больше всего предметов за время конкурса, станет обладателем целого мешка подарков. «Крошечное Рождество» в эфире Nickelodeon Россия 31 декабря в 23:40 по московскому времени, повтор фильма 1 января в 12:00 и 18:30 и 7 января в 21:30. Марафон праздничных фильмов на телеканале стартует в первый день года в 21:05: 1 января – «Альберт», 2 января – «Руфус», 3 января – «Руфус 2», а 4 января – музыкальное шоу «Новогодняя вечеринка». Все три части мини-сериала «На диком Западе» можно посмотреть 6 января в 19:50. More Nick: Nickelodeon Russia To Premiere 'Lip Sync Battle Shorties Holiday Special' On Sunday 31st December 2017! Follow NickALive! on Twitter, Tumblr, Google+, via RSS, on Instagram, and/or Facebook for the latest Holidays on Nickelodeon Russia News and Highlights! Nickelodeon Russia (Россия) will premiere a special holiday-themed episode of Lip Sync Battle Shorties on Sunday 31st December 2017 at 15:30 МСК! In Nickelodeon's Lip Sync Battle Shorties: Holiday Special, locally titled Вперёд и с песней: Дети, three kids will lip sync along to huge hits from superstars like Bruno Mars (24K Magic), Justin Bieber (Drummer Boy), and Kelly Clarkson (Underneath the Tree), with themed costumes, dancing, and performances to try to take home the Iced Out Mic! Lip Sync Battle Shorties: Holiday Special will be full of energy, entertainment and holiday spirit. Hosted by Nick Cannon and his sidekick, the kid-favourite, singing, dancing, social media sensation JoJo Siwa, Lip Sync Battle Shorties will celebrate kids' top artists. JoJo Siwa will provide commentary on each performance, and the episode will also feature the Shorties Dance Crew, a 10-person backup crew that has mastered all styles of dance from break-dancing to ballroom, plus a special appearance by Fifth Harmony! Following its debut, Nickelodeon Россия will encore Lip Sync Battle Shorties: Holiday Special on Monday 1st January 2018 (New Years Day) at 11:10 МСК. Online at nickelodeon.ru, fans can find out more about Вперёд и с песней! Дети, as well as watch exclusive video clips. “On Lip Sync Battle Shorties the kids are in charge, the performances come straight from their imagination. They’re so much cooler than we are!,” said executive producers Casey Patterson and Jay Peterson. Lip Sync Battle Shorties lets three talented real-life kid participants personalize their performances, allowing them to make decisions on all creative elements, from song and costume selection, to choreography and staging, so that they can perform on-stage like their favourite artists. Based on the pop culture phenomenon of lip-sync battling, the original Spike Lip Sync Battle series features celebrities going head to head--lip-syncing the song of their choice--battling for the coolest bragging rights on the planet. The series is a ratings and multiplatform superstar for Spike and is the most-watched original series in the network’s history. Lip Sync Battle Shorties and the award-winning and Emmy-nominated series, Lip Sync Battle, are executive produced by Casey Patterson of Casey Patterson Entertainment, Jay Peterson of Matador Content, James Sunderland, John Krasinski, Stephen Merchant, Rick Schwartz and Eight Million Plus Productions. The two-time Emmy®-nominated Lip Sync Battle on Spike TV and Channel 5 is a global multiplatform powerhouse that can be seen in over 140 countries worldwide. The critically-acclaimed series has delivered over one billion cross-platform views since launch, over two million YouTube Channel subscribers, over two million fans on Facebook, and is the most watched original series in Spike history. JoJo Siwa is a true teen sensation with over 4 million subscribers on YouTube and a hugely popular range of JoJo Bows. After quickly realising she had a love for dance at age two, JoJo Siwa began taking classes in Tap, Jazz, Hip Hop and Ballet and featured in the number one Lifetime show, Dance Moms. Off screen, Siwa connects with her fans in several different ways: through social media, where she currently has over 6.3 million followers on Instagram, 11.4 million followers on Musical.ly, 308,000 Twitter followers and 654 million views on her YouTube channel; through her SIWANATOR club which stands against negativity and bullying; through her varied line of consumer products; and with her single, “Boomerang,” which has been viewed more than 290 million times. Lip Sync Battle Shorties: Holiday Special made its world debut on Nickelodeon USA on Sunday 3rd December 2017 at 7:00pm ET/PT, and is currently rolling out on Nickelodeon channels and programming blocks globally. Nickelodeon, now in its 38th year, is the number-one entertainment brand for kids. It has built a diverse, global business by putting kids first in everything it does. The company includes television programming and production in the United States and around the world, plus consumer products, digital, recreation, books and feature films. Nickelodeon’s U.S. television network is seen in more than 90 million households and has been the number-one-rated kids’ basic cable network for 22 consecutive years. For more information or artwork, visit http://www.nickpress.com. Nickelodeon and all related titles, characters and logos are trademarks of Viacom Inc. (NASDAQ: VIA,VIAB). Check out Jene’s fierce performance of “Grown Woman” by Beyoncé! This lip syncing queen takes us on an epic safari! And did I mention there’s a real life zebra on the Shorties’ stage?! Catch Lip Sync Battle Shorties, Fridays at 7:30 p.m. (ET/PT) from Friday, Jan. 12, only on Nickelodeon USA! What was your favorite part of Jene’s performance: the dancing, the song choice, or the live zebra? !﻿ Let Nick know in the comments on YouTube! Find out more information about the show, as well as watch short-form clips from the specials, at nick.com/lipsync and on the Nick App! Follow NickALive! on Twitter, Tumblr, Google+, via RSS, on Instagram, and/or Facebook for the latest Nickelodeon and Lip Sync Battle Shorties News and Highlights! Never before seen Butch Hartman cartoon concepts and characters are revealed in this EPIC sketchbook tour! Butch Hartman is the man behind your childhood: AKA Fairly Odd Parents, Danny Phantom, TUFF Puppy, and now...the NOOG NETWORK and Bunsen Is a Beast! More Nick: Butch Hartman Celebrates 20th Anniversary Of Working At Nickelodeon With Star-Studded Recording Of 'Speech Bubble' Podcast! Follow NickALive! on Twitter, Tumblr, Google+, via RSS, on Instagram, and/or Facebook for the latest Nickelodeon, Fairly OddParents and Danny Phantom News and Highlights! Talk Cereal with Greg Cipes - Episode 3: Tara Strong! Join Greg Cipes (Teenage Mutant Ninja Turtles, The Middle) and guest Tara Strong, voice of Timmy Turner (The Fairly OddParents), Twilight Sparkle (My Little Pony), Harley Quinn, Dil Pickles (Rugrats), Ben 10, Raven and many more characters, as they discuss all things cartoons! Produced by Super News Live! Follow NickALive! on Twitter, Tumblr, Google+, via RSS, on Instagram, and/or Facebook for the latest Nickelodeon, Teenage Mutant Ninja Turtles and Fairly OddParents News and Highlights! Tara Strong showcases her array of iconic voices including characters from: Fairly OddParents, My Little Pony, The Powerpuff Girls, Ben 10, Batman, and many more! At San Diego Comic Con, Tara Strong cosplayed as one of most iconic characters she voices... Harley Quinn (Batman: Arkham City)! Butch Hartman (creator of Fairly OddParents, Danny Phantom, T.U.F.F. Puppy and Bunsen Is a Beast on Nickelodeon) hosts Speech Bubble with the Robin to his Batman, Jace Diehl! Topics range from cartoons to movies to what Butch had for lunch yesterday. No matter what he talks about, it’s always guaranteed to be awesome! Follow NickALive! on Twitter, Tumblr, Google+, via RSS, on Instagram, and/or Facebook for the latest Nickelodeon and Fairly OddParents News and Highlights! The Nick box is a Subscription service that will bring some of your most memorable Nickelodeon experiences right to your door! Each box is filled with nostalgic goodies that you will treasure like vinyl toys, plush, apparel, household collectibles and much more! Each quarter The Nick Box brings you a different theme loaded with exclusive items that can only be found at TheNickBox.com - and you don't even have to leave your stoop to get in on the fun! Watch all your '90s Nickelodeon favorites on NickSplat, your late-night destination for your favorite childhood Nickelodeon cartoons and live-action shows! NickSplat doesn't question football-shaped heads, but embrace them - along with Reptar bars, a Big Ear of Corn, orange soda, and even slime for Pete (and Pete's) sake. Make your slime-covered Nickelodeon childhood dreams come true every night at 10pm ET/PT, only on TeenNick USA! #NickSplat! Follow #TheNickBox: TheNickBox.com | Facebook | Twitter | Instagram. Follow NickALive! on Twitter, Tumblr, Google+, via RSS, on Instagram, and/or Facebook for the latest Nickelodeon and The Nick Box News and Highlights! Kuu Kuu Harajuku | HJ5's Coldest Gig Ever!